IP finance: Royalty rate guides: how helpful are they? This blogger has mixed feelings about the value of data of this nature. Judicial resolution of both licence and infringement disputes often demands that the tribunal seised of the dispute ascertain the quantum of damages or royalty payments on the basis of the reasonable sum which would have been paid by a willing licensee to a willing licensor. To the extent that compendiums of licensed technology reflect the consensual conduct of cooperating parties, they are bound to influence findings based on that elusive formula. The publication of historical instances of technology licensing rates may also exercise influence on businesses seeking a specific level of payment or resisting attempts to make them pay it. While these may not quite be self-fulfilling prophecies, this blogger suspects that the mere fact of their publication and availability is to some extent self-reinforcing. 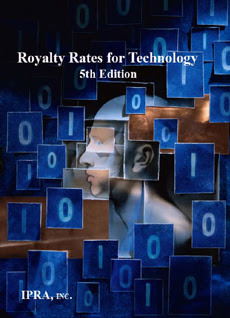 Thus, where licensor A is seeking a royalty from licensee B, it might be expected that the agreed royalty will be higher, irrespective of external criteria, where historical examples of royalty rates range from 20-30% of the base figure on which they are calculated, than where the historical figure is 2-3%, and that the agreed rate would be somewhere between the two where it is evidenced that parties comparable to A and B have struck royalties in the range of, say 12-15%. There is another factor to consider. Unlike some areas of intellectual property such as fashion clothing and fast-moving consumer goods, where substitutability of competitors' products can lead to a clearly identifiable range band of norms within which royalties are fixed, this is not so often the case with technologies -- particularly those protected by patents -- where by definition the licensed technology is unique and where there may be complicating issues such as essential facilities doctrine and FRAND-based arrangements in which the establishment of royalty norms may be the result of a conflict of consensual negotiation and pressure from the competition authorities. What do readers feel about royalty rate guides? Do let us know. Details of the 5th edition can be found here. The possibility that new data will create information asymmetry is real. It seems this will be meted by two factors: (i) experience of those in the specialist field; and (ii) economic adjustments in a free market. Those businesses with the experience (or advice) contrary to the examples will not concede terms so lightly; those who choose to follow them indiscriminately and incorrectly will ultimately be found to be inefficient by the marketplace and fail. This will allow the licensor a new opportunity to negotiate more realistic terms. All knowledge is partial and only the aggregation of that knowledge can arrive at the true position. The more examples are published, the more accurate terms may become.